Home » Blog » Disney Worldwide » Why Book an Adventures by Disney Costa Rica Tour? 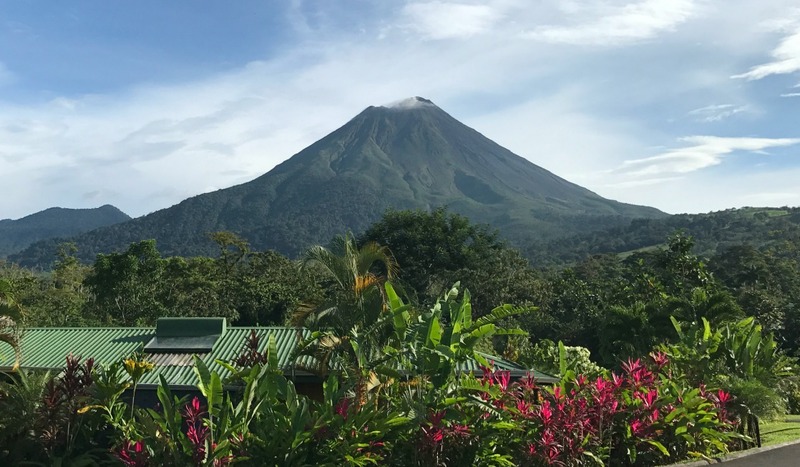 An Adventures by Disney luxury tour of Costa Rica takes this family from rain forests to volcanoes, beaches to hot springs, and many adventures in between. This is not your ordinary tour, just as Disney is not your ordinary company. 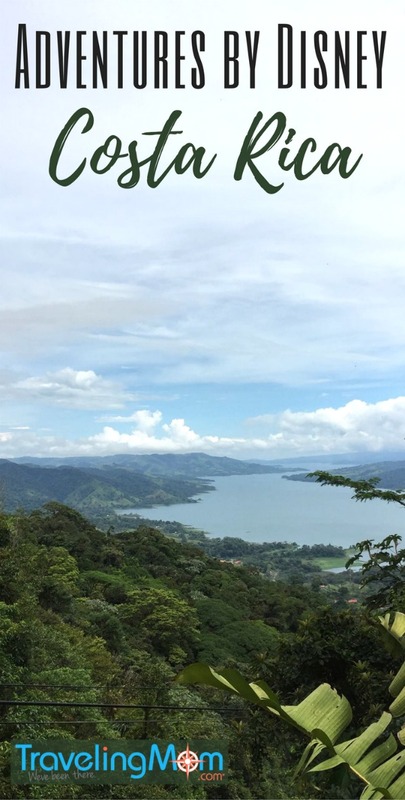 Here is why an Adventures by Disney Costa Rica tour will blow your mind. From the beginning, it was obvious that our Adventures by Disney (ABD) tour of Costa Rica would not be your typical Disney experience. There is no Mickey Mouse hiding behind the bushes or character breakfasts. There is, however, that sense of Disney community. 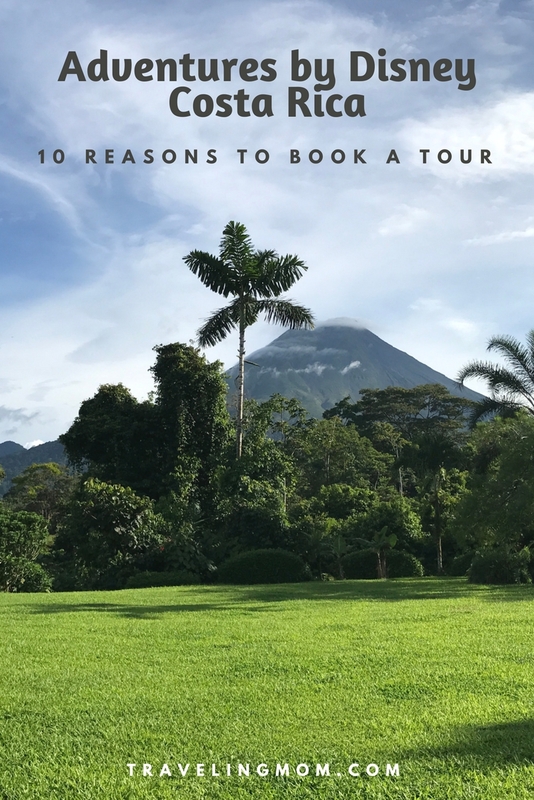 Our 5-day tour started in San Jose, wound through Tortuguero National Park, explored the area around Arenal volcano, and finished beachfront in Guanacaste. To say the vacation was action packed would be an understatement; every day was filled with adventure of one form or another. If your family loves having access to unique experiences, making new friends, and learning about other cultures, an Adventures by Disney Costa Rica tour may be the right vacation for you. Disney’s travel agents organize and orchestrate every detail of travel. From plane tickets to travel within the country, we never had to worry about getting from point A to point B. In a country like Costa Rica this is very helpful. After a few hours on the road, we were thrilled we were not driving. The narrow roads and sudden downpours were not conducive to unfamiliar drivers. Our youngest child has a nut allergy and on many previous trips, this has been a concern. Not only did Disney make note of this in our reservation, the guides always made sure to check with the restaurant if we had questions. There was a vegan family in our group, and they had options at every meal. On the topic of meals, we were always well fed. There were snacks as needed, delicious buffets for many meals, and a few a la carte meals. Meals had plenty of choices. As a mom of a picky eater, this is something I greatly appreciated. 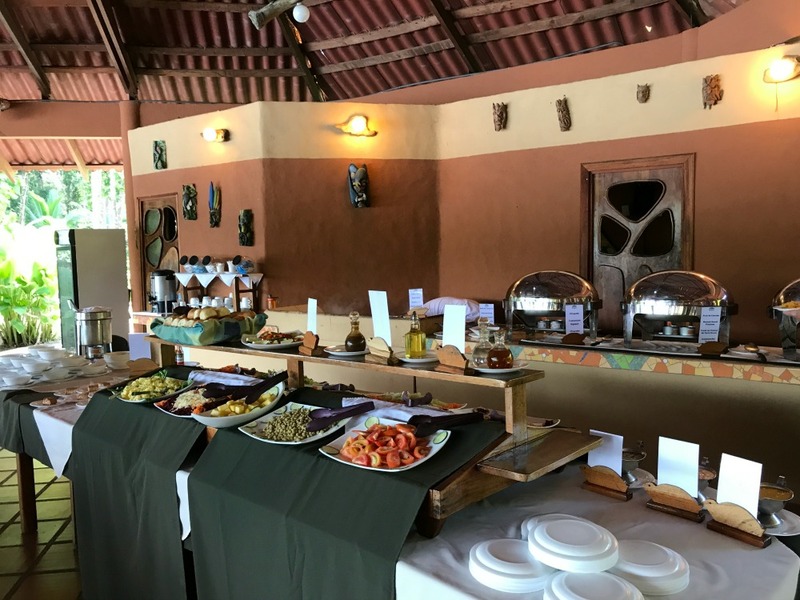 Most meals are buffet style, so there are many options to choose from. This was at Laguna Lodge. We had the terrific tour guides for this trip, Ronald and Gabby. Ronald is a geologist from Costa Rica with a masters degree in eco tourism. Gabby is from Nashville with an undergraduate degree in hospitality and tourism management. This fall she will start work on a masters in strategic leadership. She does it all! Ronald was a fountain of knowledge. Whenever we had a question about animals, fruit, or the landscape, he knew the answer. Other guests enjoyed trying to stump him with questions because he was a walking encyclopedia. It was the equivalent of having a science teacher on the trip. The kids thought he was funny and had awesome dance moves. Gabby was a true gem. A beautiful person inside and out. At times she seemed to be learning with the rest of us. She would play fun games on the long bus rides to entertain the kids. 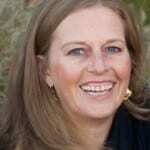 She had a great sense of humor, was enthusiastic, and great with the kids. Our kids loved spending time with Gabby and Ronald during Junior Explorers night. This was the one night of the trip when the kids and parents were separate. The kids went off on their own to watch a movie and play games while we parents enjoyed mojito making and dinner. It was nice to have alone time with the other adults and the kids loved getting to know one another better. Our two boys, ages 10 and 13, loved Ronald and Gabby. We were sad to leave them behind. I have planned countless trips for my family and know how difficult it can be to find an adventure that works for everyone. Disney planned many activities on this trip and they were all amazing. We explored Tortuguero National Park by boat searching for animals. In the evening we took a night time walk to watch sea turtles laying eggs on the beach. One day we went white water rafting. Another day we went zip lining and a different group went to a hanging bridge. We took a chocolate tour. There was a visit to a hot springs and a snorkeling trip. All of these activities take coordination with a host company and that’s not an easy job. Disney has done all the hard work so you don’t have to. I really loved this part of the trip because I’m usually the researcher/planner. Our group also had a large range of ages. The youngest member was 9 and the oldest was probably mid-60s. Some of the travelers were couples traveling without children, there was a single female traveler (on her 13th ABD trip! ), and of course there were families of varying size and ages. If someone didn’t want to participate in one of the activities, like zip lining or rafting, there was an alternate plan for them (such as seeing suspended bridges or hiking). ABD put a lot of thought into making sure no one was left out. 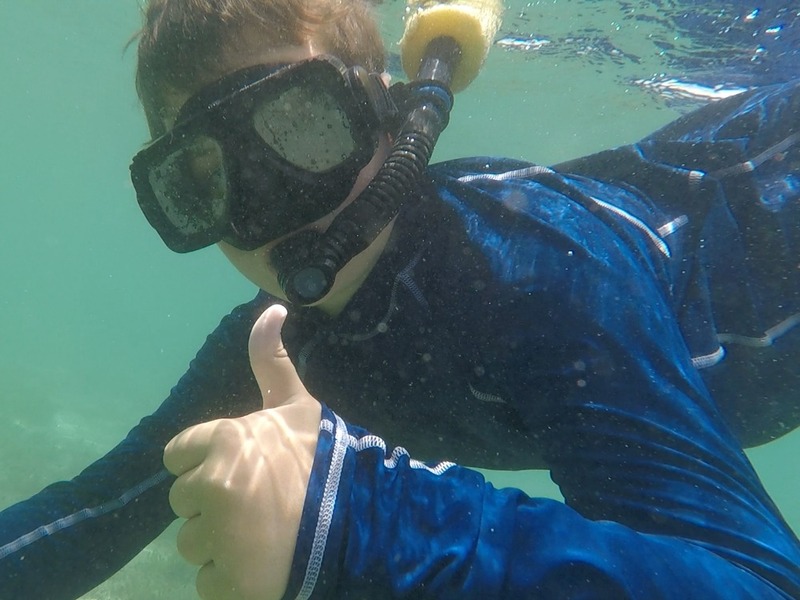 Snorkeling was a hit with my 13 year old. Only his second time, but he feels like a pro! We were encouraged to share our stories along the way and there are many opportunities for meeting other guests. The guides facilitate contests on the bus rides which help to loosen everyone up in the beginning. There’s open seating at every meal, so it is possible to get to know everyone. The kids will find each other and connect pretty early on, either on the bus or at the pool. That’s an awesome thing to watch. However, it’s important to consider your child’s personality. If your child is a bit of an introvert, it may be difficult for him or her to connect with the others. That just might mean your child spends more time with you than with the other kids on the tour. Some evenings the guides share photos from the trip and that always brings a laugh or two. Disney also sells a photo package at the end of the trip, similar to the Disney Memory Maker. This is available 10 business days after the trip. 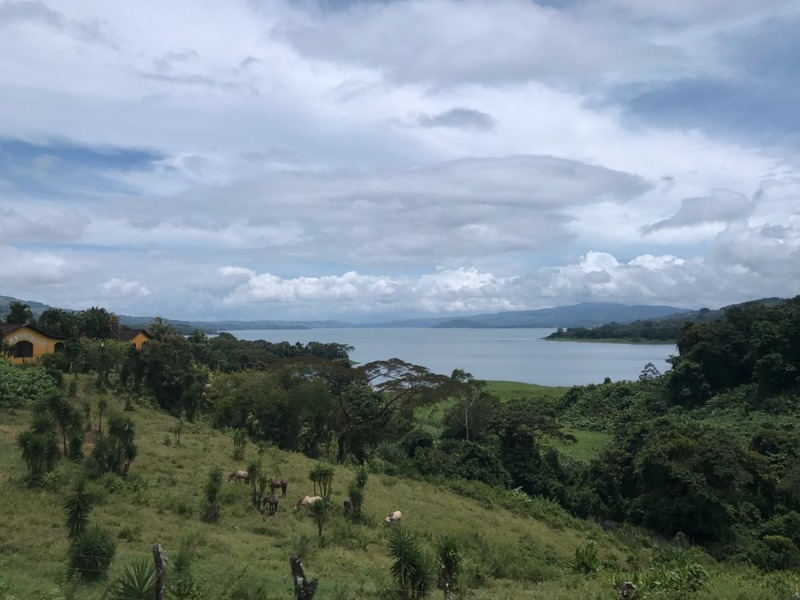 Throughout the trip we had opportunities to connect with native Costa Ricans and learn about their culture. Our second evening we were treated to a performance by local musicians. They sang and played the banjo, and by the end of the evening everyone was dancing. During our time at Hotel Manoa Arenal, we had the privilege to meet with members of the Maleku tribe. They are the indigenous people of Costa Rica; only 600 are still alive. We met two of them. One woman spoke in the native language, while her husband translated into Spanish. Our guide Ronald then shared everything in English. They discussed the history of their culture and showed off their crafting techniques. It was impressive to see their mask and gourd paintings using traditional methods. They even invited us to paint our own gourds with their assistance if needed. On the final evening of our trip, ABD brought in traditional Costa Rican dancers and musicians. I don’t want to ruin it for future travelers, but let’s just say it was a ton of fun to learn about their songs and watch their performances. 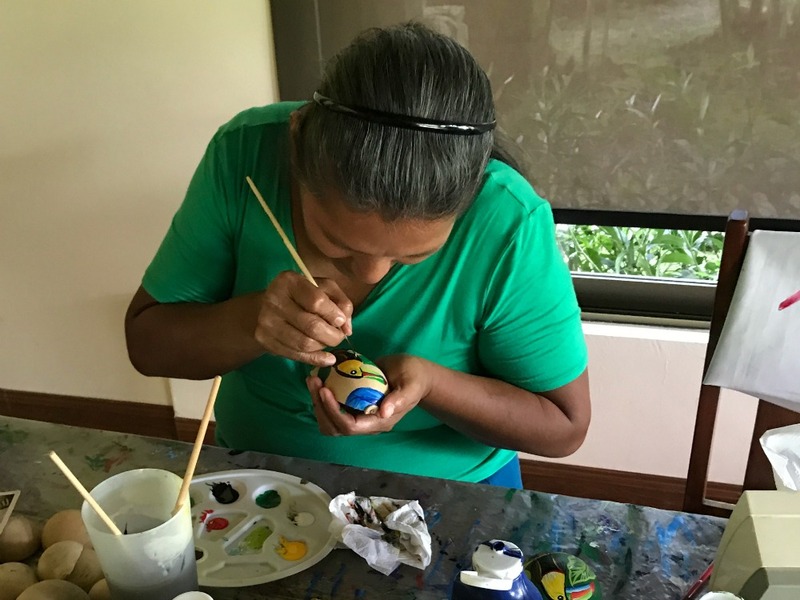 It was fascinating to watch this member of the Maleku tribe paint on a gourd. There’s no need to figure out different hotels so you can see more of this incredible country. We stayed at three different properties over the course of our 5-day trip. The first night was an American chain hotel near the San Jose airport. It offered all of the familiar amenities of home, but with a Costa Rican twist: It was built on a unique spot, a beautiful coffee plantation. 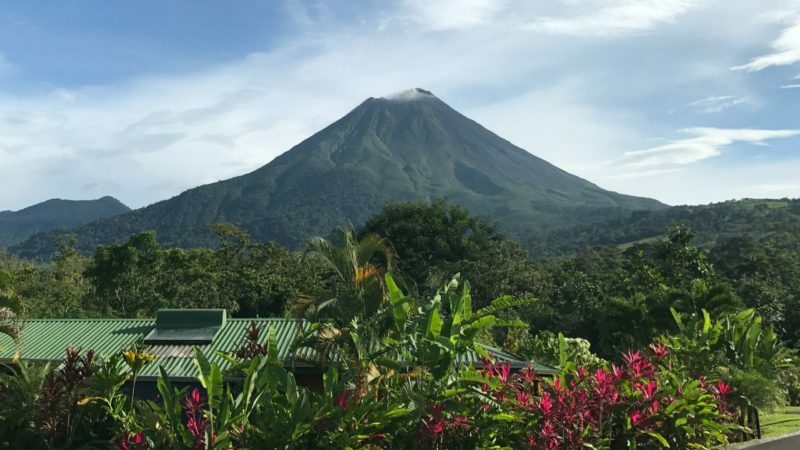 At the end of our trip, we spent two nights at a beautiful hotel with views of the Arenal volcano. The grounds were beautiful and the meals were delicious. The last two nights were the best with a luxury beach front boutique property in Guanacaste. The lodging the second night was the problem. It was an eco-lodge in the jungle. I have to be honest it was my least favorite. There was no air conditioning and it was about 90 degrees with 100% humidity. It was a long day of travel to get to this property. By my calculations we spent two hours on a bus followed by an hour and a half on a boat. Originally we were supposed to fly to Tortuguero to see the spot where the sea turtles lay their eggs. But the planes don’t fly anymore. Disney has changed the Costa Rican tour for 2018. It no longer will go to Tortuguero. I think that’s a good thing because the long travel day, humidity, and lack of air conditioning took a toll on all of us. The kids loved having a pool and playing with new friends! 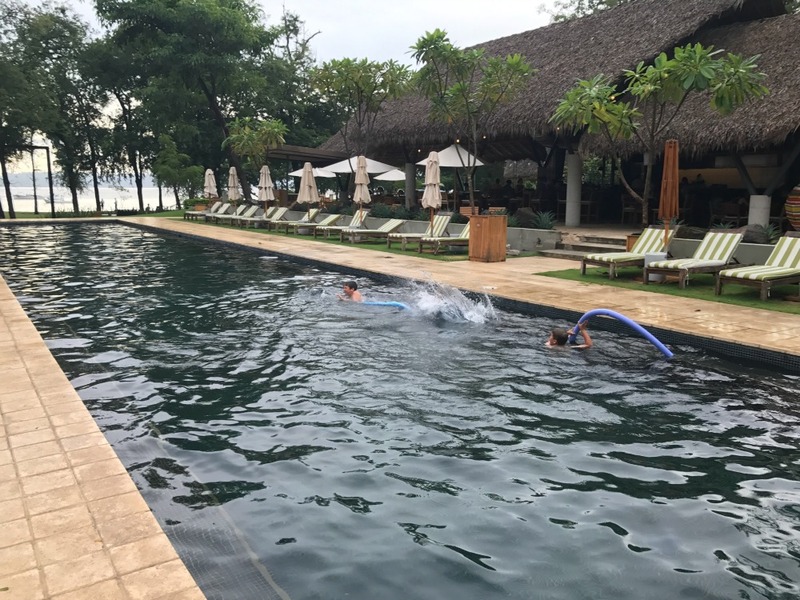 They loved the pool at El Mangroove in Guanacaste. What we loved about traveling with ABD was that any problem was handled immediately. One evening our youngest son had extreme stomach issues. The next morning I informed the guides because we didn’t have the right medicine with us and we were preparing for a long day on the bus. Thankfully, one of the guides went to a pharmacy for us and picked up some medicine we needed. This saved the day. This ABD vacation involved a lot of bus travel. Thankfully, the buses were very comfortable and the guides made our time enjoyable along the way. Ronald would share information about Costa Rica, including what we were seeing or going to see. Gabby would have fun games to pass the time. The trip from San José to Tortuguero was about 2 hours by bus and 1.5 hours by boat. Tortuguero to Arenal took an entire day. Granted, we stopped for white water rafting in the middle of the trip, but we spent at least four hours at a stretch on the bus. Arenal to Guanacaste was probably the longest drive time, close to five hours. This drive included a lot of winding roads. Multiple children were car sick. Thankfully, the bus driver and the guides had trash bags available. They pulled over as quick as possible (when it was safe), to give everyone some air and time to walk around. Again, ABD was prepared in an emergency. The scenery was beautiful, but the winding roads made some passengers a little nauseous. We had never been on a guided tour before. We loved that ABD thought of everything. There were always snacks available on long bus rides. If we were doing an outdoor activity, they were always there to offer sunscreen and bug spray. The day we went river rafting, they had towels ready for us when we finished. I realize they have done this trip many times, but it was nice that they think of everything so you don’t have to. The last night everyone sits around and shares stories because it’s really a family that has formed over the last six days. We exchanged emails and said good-bye. It felt like we had made some life long friends on this trip, so we knew the good-byes weren’t forever. When planning a trip, it’s easy to forget all the little out of pocket expenses. We gave tips along the way for house keeping and other helpful staff, but tips for the group activities, such as the river guide and the chocolate guide, were covered. With an Adventures by Disney trip you don’t have to tip because it’s included. It was such a relief to not have to dig into our pocket every time we turned around to find small change for tipping. However, you will want to tip your Disney guides (no they did not pay me to say this), because they are worth their weight in gold! 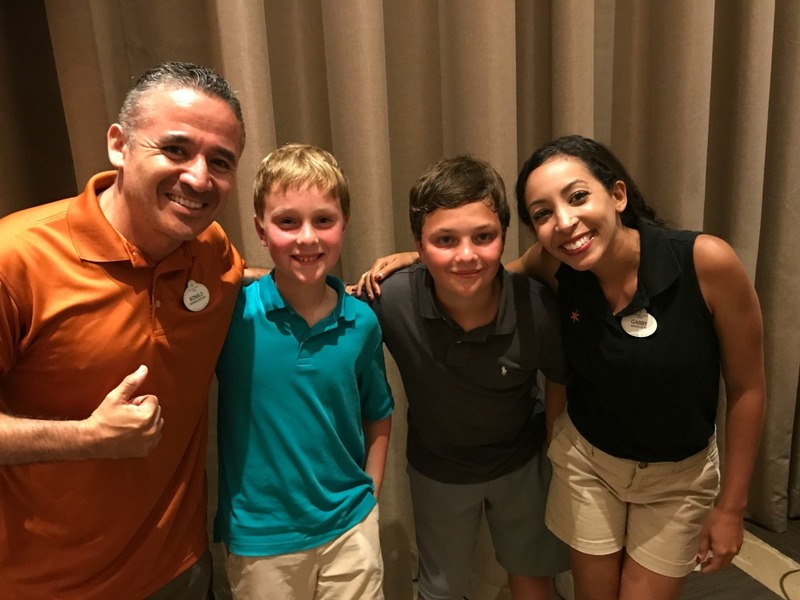 Disney recommends tipping $8-$11 USD per adult/child per day, so for a trip like Adventures by Disney Costa Rica, a family of four would tip $224-$308 per guide. How do you Book an Adventures by Disney Vacation? Contact our partners at Destinations in Florida, Disney vacation planning experts for customized help planning your Adventures by Disney vacation. We have an affiliate relationship with Destinations in Florida. If you book through the service, you will help support TravelingMom in addition to getting the help you need to book an organized family tour for your next family vacation. Have you been on an Adventures by Disney trip? Where did you go? Tell us about it in the comment section below!